GLS Memorial Fund is proud to announce that Michelle Myers was selected as our first scholarship recipient. Michelle is from Long Island, NY and was selected for her outstanding academic record, as well as her performance outside the classroom. 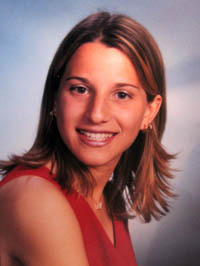 Michelle was a member of the varsity lacrosse team, the marching band and several honor society clubs – while achieving a 4.0 grade point average and graduating fifth in her class. In addition to Michelle’s personal achievements, we were drawn to Michelle because of her father’s bravery. Michelle’s father is a Port Authority police officer stationed in New York City. On September 11th, he made several rescue attempts in the World Trade Center and escaped from one of the buildings when it began to collapse. We are honored to have Michelle as our first scholarship recipient. Michelle graduated Michigan in December 2006 and is now a practicing attorney. GLS Memorial Fund has selected, Jeanine Bonomi as it second scholarship recipient. Jeanine will be starting the University of Michigan in the fall of 2005 at the College of Literature, Science & Arts. Jeanine graduated from Syosset High School, (as did Laurence Polatsch in 1986) with honors and a 3.8 GPA. She was a varsity swimmer, yearbook editor and Interact Club member. Jeanine is a Nassau County and American Red Cross certified lifeguard. In addition to Jeanine’s academic achievements, GLS was also impressed with her activities outside of school. Jeanine’s father is a New York City Firefighter stationed in Corona and made a large contribution to the rescue efforts in the World Trade Center on September 11th. GLS is honored to be able to help Jeanine attend the University of Michigan. Jeanine graduated from Michigan in May 2009 and will be moving back to New York City to begin her career in marketing. Robert graduated from Roxbury High School in Succasunna, New Jersey. After high school, he enlisted in the United States Marines Corps from September 11, 2000 to August 2, 2005. Robert is a combat veteran of Operation Iraqi Freedom, in which he served overseas for the majority of 2003. After his Honorable Discharge from service, he enrolled in the County College of Morris in Randolph, New Jersey, where he currently has a GPA of 3.89. 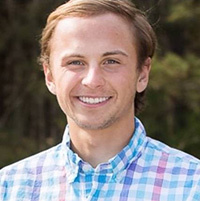 Robert is a member of Phi Theta Kappa, a national honors society for junior colleges, and also tutors mathematics at his local college campus. Robert’s father, the police chief of Wharton, New Jersey, sent some of his officers to the World Trade Center site after the attack. Robert also has younger twin brothers. One of which is a police officer in Denville, New Jersey, and the other is currently serving his country in the United States Marine Corps. 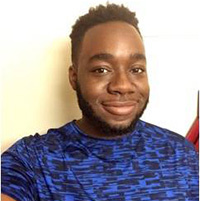 We were excited and honored to have Robert receive the GLS Memorial Fund Scholarship, but unfortunately, he returned home to New Jersey after just one semester for family reasons. We wish Robert continued success and good luck with his future. Eugene Kim graduated Syosset High School in 2008 with a 95 average and will be attending the University of Michigan on the GLS scholarship beginning in the fall of 2008. Eugene participated in the National Honors Society and the Spanish Honors Society. 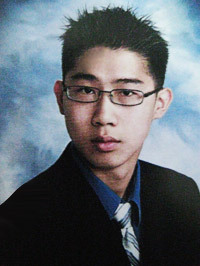 While in high school, Eugene developed many leadership skills and lead the varsity volleyball team, was the sports editor for the yearbook and the treasurer of the varsity mathletes team. In addition to his academic and extracurricular activities, Eugene participated in many volunteer programs, including starting a volleyball clinic for young children. We are looking forward to having Eugene attend Michigan on the GLS scholarship. 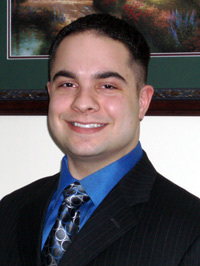 Eugene graduated from the Steven Ross School of Business at Michigan in May 2011. 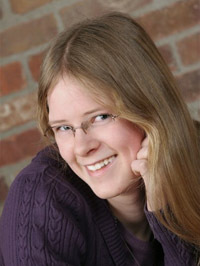 Kelly Clark graduated as one of three valedictorians of the class of 2009 of Saint Ursula Academy in Toledo, Ohio. She will be attending the University of Michigan beginning in the fall of 2009 on a full scholarship from the GLS Memorial Fund. Kelly was on Saint Ursula’s National Honor Society Executive Council during her junior and senior years, and scored well enough on the PSAT/NMSQT to be designated a National Merit Finalist in the spring of 2009. She also participated in stage crew and quiz bowl for her school, earning leadership positions in both from sophomore year. She is a captain and principal member of her local fencing club, The Toledo Blades. She volunteers at her local library and metroparks during summers. Kelly’s father has been a firefighter for the City of Toledo since September of 1989 and works primarily on Engine 17, one of the busiest in the country. GLS is honored to have Kelly as one of its scholarship students. 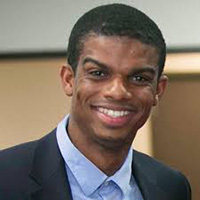 Chris Mays went to high school in Southfield, MI before attending the University of Michigan. Chris received the GLS scholarship for his senior year at Michigan. Chris has been making the most of his time at Michigan and has been experiencing many aspects of student life. From trying out for the Michigan Football team to Central Student Government he has been making the most of this opportunity. Chris graduated from Michigan in 2014 with a degree in Political Science and a minor in British History. Timothy Allen Sell, Jr. grew up in Belvidere, IL and graduated Belvidere High School in 2012 with high honors. 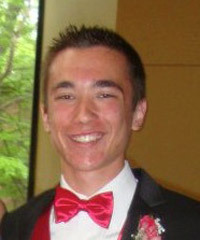 Tim will be attending the University of Michigan beginning in the fall of 2012 on the GLS Memorial scholarship. Tim was active in many activities, including captain of the Varsity Tennis team, Executive Secretary of the Student Council, Executive Secretary of the district Student Council, Vice President of Finance for DECA, and a member of Belvidere’s National Honor Society. While at Michigan, Tim plans on majoring in Biopsychology, Cognition and Neuroscience on a pre-med track to eventually become a licensed and practicing Psychiatrist. Tim graduated from Michigan in May 2015. Gloriela Iguina – Colon attended Fiorello H. LaGuardia High School for Performing Arts and Music and Art in Manhattan, New York. She majored in Drama. She is now a sophomore at the University of Michigan planning to major in Public Policy. She has loved every second of her experience at Michigan, and has become involved in many aspects of student life. She holds leadership positions as a LEAD scholar, is a student fellow with the Global Intercultural Experiences for Undergraduates (GIEU) program, is involved in research and has become very engaged with social justice activism and causes on campus with the Program on Intergroup Relations and within the local community. She has received honors every semester thus far. Gloriela would not have been able to engage so fully with the opportunities available without the support of the GLS Memorial Fund. 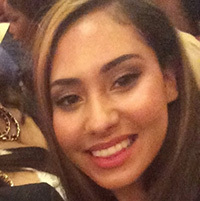 Gloriela transferred to the Gerald R. Ford School of Public Policy at Michigan in September 2015. We were honored to have her as one of our scholarship recipients and look forward to following her career in government. Tyler Stradberg grew up in Muskegon, MI and graduated from Spring Lake High School. Tyler will be attending the University of Michigan in the fall of 2016 on the GLS Memorial Fund scholarship. Tyler was the Captain of his high school lacrosse and tennis teams and was a member of the Student Council. © 2019 GLS Memorial. All rights reserved.